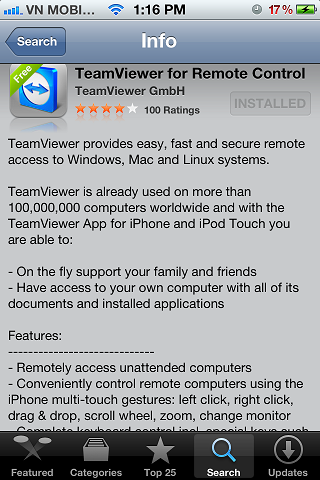 I totally understand that almost IT Administrators or IT Support have to be available to support their team anytime and anywhere even on the vacation, at coffee shop, at home, on the go or wherever. In order to do that, they need to have access to the office desktops, servers and networks as well as some important documentation. There are few useful and free (include purchase version with advanced features) applications that you should consider to install on your iPhone/iPad. They give you ability to troubleshoot/give advise or see what’s happening remotely your network system, server, your own laptop or friend/colleague computers. 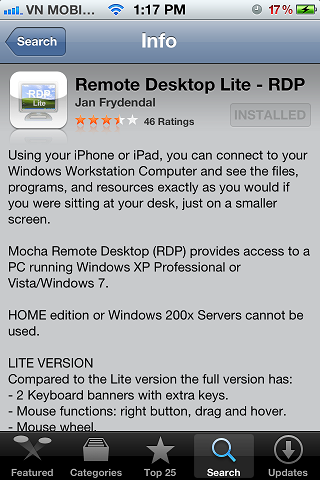 Providing easy, fast and secure remote access to Windows, Mac and Linus system. 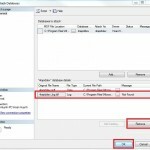 You can connect to your Windows Workstation Computer, Desktop (XP, Vista or Windows 7,etc) or Windows Server to see the files, programs and resources exactly as you would if you were sitting at your desk, just on a smaller screen. In some case, you can’t do troubleshooting your system without implement documentation, setup guide or configuration setting file. 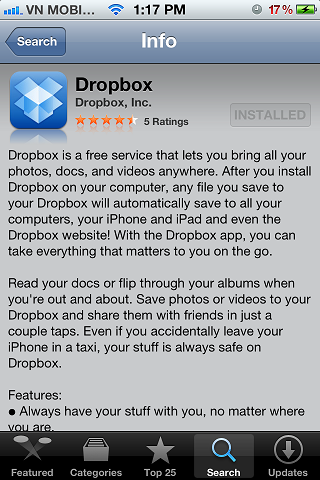 Dropbox is another app must be installed on your iPhone/iPad in order to get your job done rapidly. 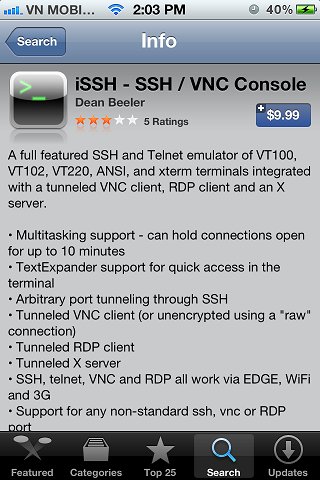 iSSH is effectively several clients in one, containing functionality for ssh/telnet/raw connections, an X11 server, VNC tunneling as well as RDP tunneling. Your comments are always welcome and your suggestion for useful apps are appreciated.